We continue splitting up our overly-large CSS test file via repeated application of the “extract module” refactoring. Along the way, we fix an issue with testing vertical centering on IE 11. Other than that, it goes by quickly. 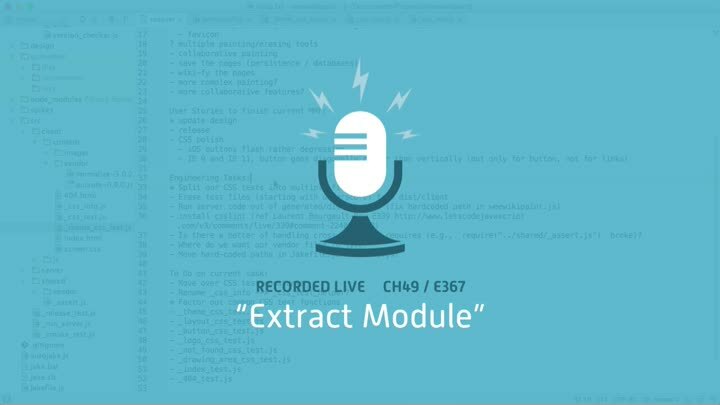 By the end of the episode, we’ve extracted all our CSS unit tests into their own modules.